Today was mostly spent on the Nautilus but I did do a bit more cleaning up on the nacelles and out them on the ship for a look. I’m happy. 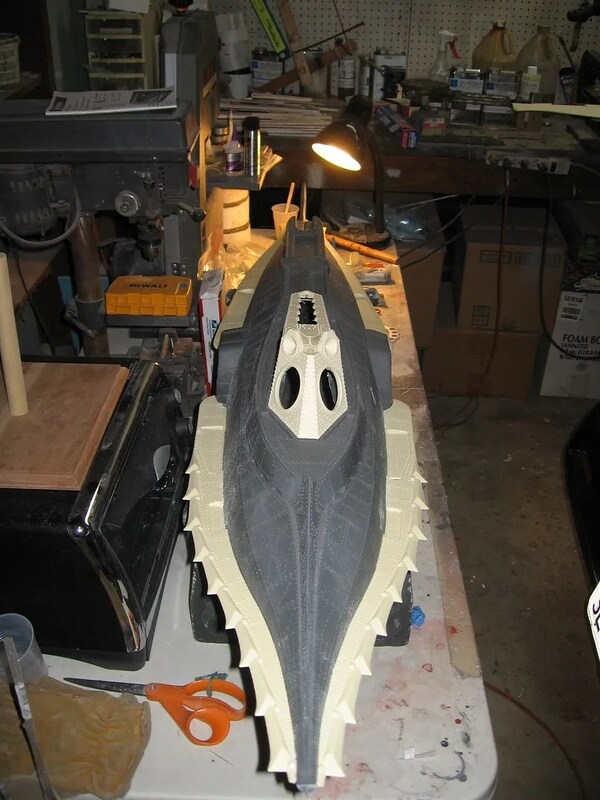 The first thing you have to do when building a model Nautilus to be a radio controlled boat is figure out how it will open and close. This is in order to access the water tight compartment and all the running gear and electronics. With this boat like the smaller 31 inch boat I made the decision to have the top remove full to the bow and cut at the stern. The top slides into a pin in the back and the ram slides through the front and holds down. 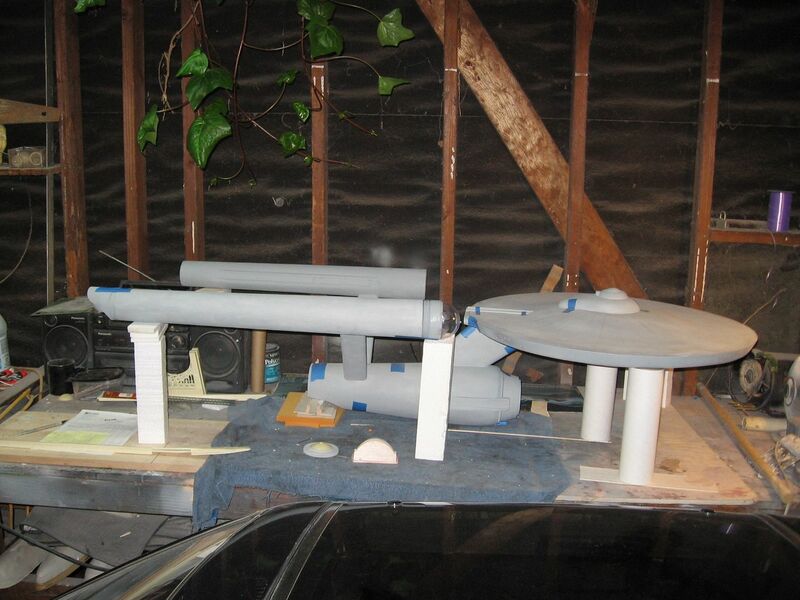 So first get those side fines mounted so they attach to the top of the hull and capture the lower hull. 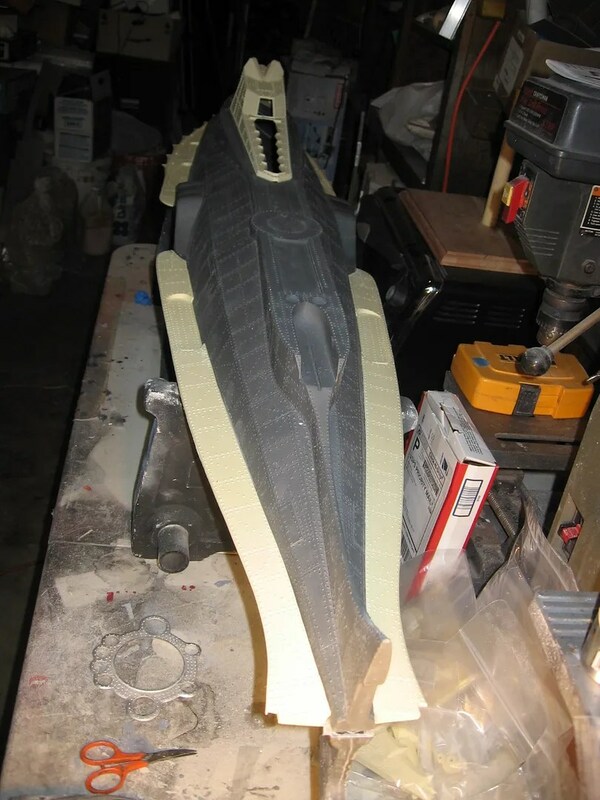 It took a bit of doing to get the fins to fit correctly. Grinding, sanding, and bending I finally got a decent fit. 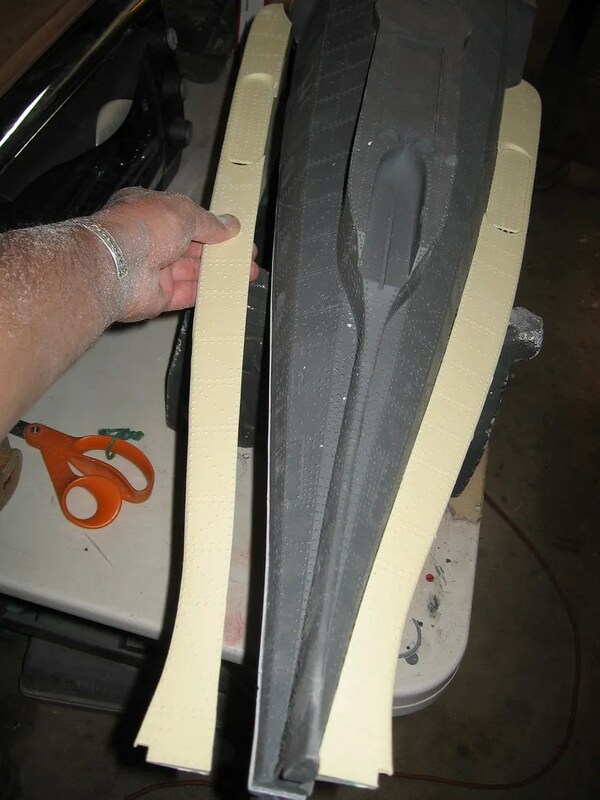 The problem with urethane resin parts this size d they warp easily so it may take a bit of the heat gun and putting your foot on it to get them flush. 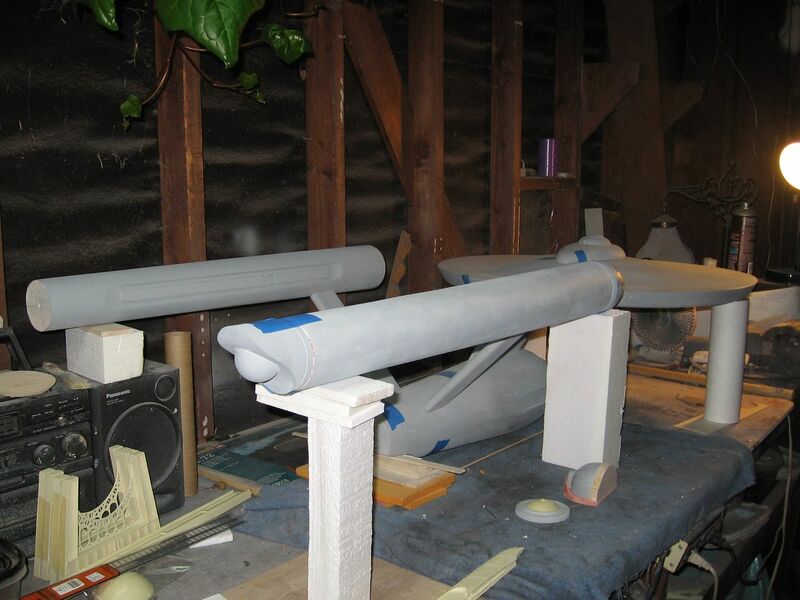 Tomorrow I cut the stern section as close to the fins as possible. Mound a prop shaft bearing in the back and glue the cut section down.